Falconers LLP partner, Julian Falconer, and associate, Marc Gibson, have co-authored an article featured in the March 2017 issue of The Litigator, the Journal of the Ontario Trial Lawyers Association. Falconers LLP argues that police use of force training in Ontario is inadequate and out-of-date to the point that it has become part of the problem. The article applies a “zero-deaths” standard for police use of lethal force incidents. 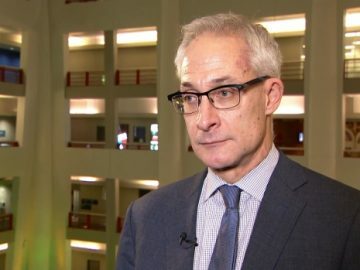 This standard was recognized by Justice Frank Iacobucci in his seminal 2014 report, Police Encounters with People in Crisis, Independent Report to the Toronto Police Service (TPS). The Iacobucci report was commissioned after TPS Constable James Forcillo shot and killed 18 year-old, Sammy Yatim on July 27, 2013. Falconers LLP represents the estate of Mr. Yatim and his mother, Sahar Bahadi in a lawsuit against the TPS for the unjustified killing of Sammy. In an interaction that lasted less than 50 seconds, PC Forcillo shot at Sammy 9 times, striking him with 8 bullets, shattering Sammy’s spine and rupturing his heart. Officer Forcillo was criminally charged for killing Sammy. On January 25, 2016, a jury acquitted PC Forcillo of second-degree murder, but convicted PC Forcillo of attempted murder. On July 28, 2016, PC Forcillo was sentenced to six years in the penitentiary. PC Forcillo remains out on bail as he is appealing his conviction. During his trial, PC Forcillo’s lawyers argued incessantly that the officer could not be held criminally responsible for Sammy’s death because PC Forcillo was only following his training on police use of lethal force. 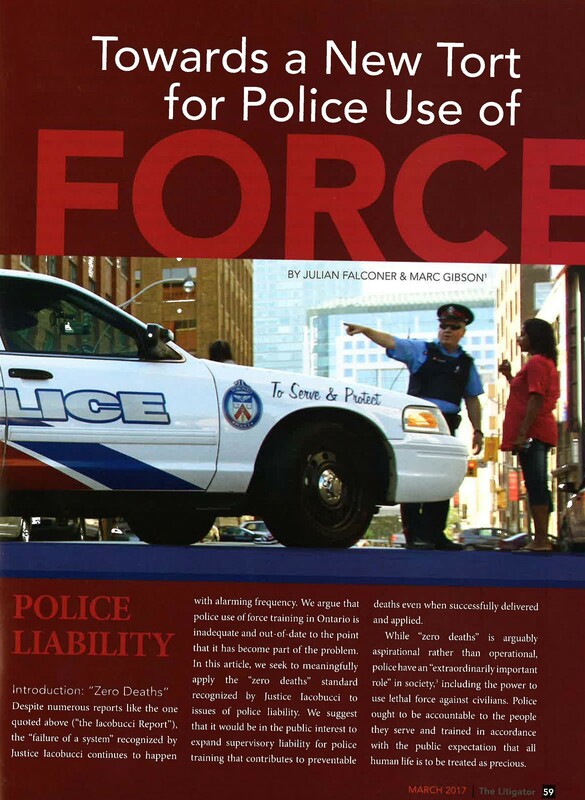 Falconers LLP’s new article demonstrates that the flaws inherent in this training justify the establishment of a new tort for police use of lethal force. The publication of Falconers LLP’s article is timely. In April 2017, Justice Michael Tulloch releases his report on the independent review of the civilian oversight bodies for police in Ontario. These bodies are the Special Investigations Unit (SIU), the Office of the Independent Police Review Director (OIPRD), and the Ontario Civilian Police Commission (OCPC).